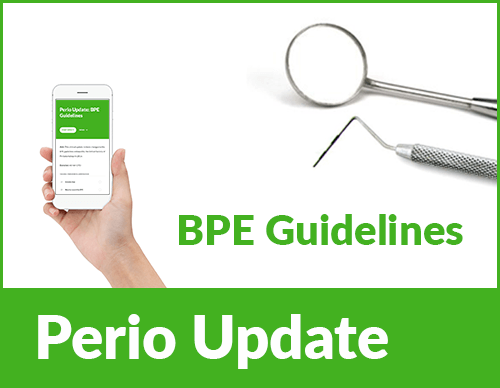 The aim of this clinical update is to review changes to the BPE guidelines released by the British Society of Periodontology in 2016. 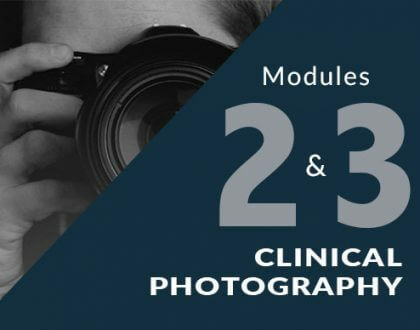 The aim of this module is to provide an introduction to this series of e-learning modules on clinical photography. 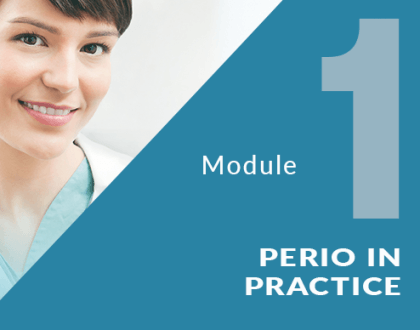 The aim of this programme is to review the roles and responsibilities of the various members of the periodontal team and how working as a team can improve patient outcomes in periodontal care. 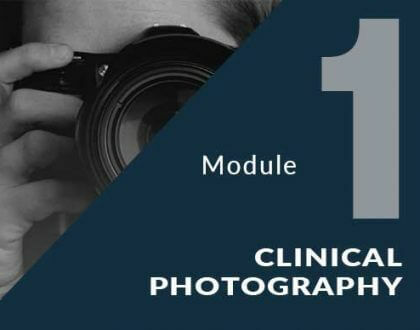 The aim of this course is to provide an insight into the various applications & equipment for clinical photography in dentistry with a particular focus on enhancing communication. 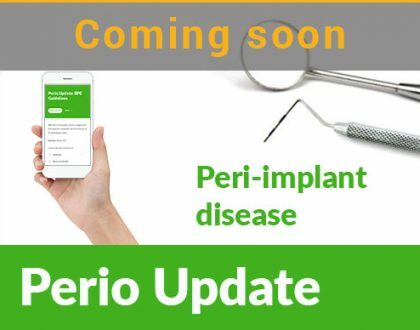 The aim of this clinical update is to review the aetiology, prevention and management of peri-implant disease. 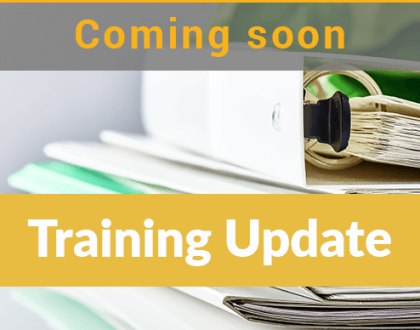 This update aims to review the disinfection and management of Dental Unit Water Lines (DUWLs) and meets the requirements for CPD on disinfection and decontamination required by the GDC.